Growing up in South Africa, Nicole now proudly calls Australia home. 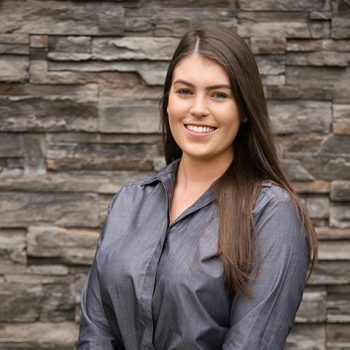 Successfully completing her degree in psychology has provided her with the core skills to deliver an unforgettable customer service experience to each and every one of her clients. Whether it is building a personal relationships or ensuring that every one of her clients feel comfortable, Nicole focuses on the value of trust. A high work ethic promptly delivers efficient, effective and compassionate service, ensuring she provides the best possible outcomes to all. One of Nicole’s biggest passions in life is the continual pursuit of helping others. Once obtaining her degree, Nicole began working as a finance settlements officer for one of Australia’s biggest banks, providing her with many additional skills. However, Nicole quickly realised she wanted to truly make a positive and genuine impact on people’s lives, and as such, this pursuit brought Nicole to Guardian Group. Nicole attests to feeling a sense of achievement with Guardian Group, knowing that she has helped her clients at all turns, and that these clients and their families will always be looked after. Speaking fondly of Guardian Group, Nicole states “Being part of the Guardian Group is something truly special. To work for a company that not only values their staff, but also genuinely cares for every team member, makes us a family. A team who operates in this manner takes pride in every aspect of their work. We are all extremely passionate about what makes Guardian Group the best that it can be”.